The influence of nano-silica with different particle sizes on inkjet paper coating was investigated. Laboratory self-made silica sol with particle size of 16 and 100 nm was employed as the pigment, and Polyvinyl Alcohol (PVA) was used as the binder. In order to study how nano-silica influences the properties of the inkjet paper coating, four groups of coating were prepared by variation of the dosage for two types of silica sol particle sizes. The viscosity of coating, the microstructure, physical properties, inkjet printing quality and dynamic permeability were characterized. The results showed that 16 nm silica sol could increase the viscosity of coating and reduce coating liquidity. Meanwhile, it did not contribute to the improvement of the physical properties and permeability of the coated paper. When the ratio between 16 and 100 nm silica sol was 30:70, the coated paper exhibited the best glossiness, smoothness and the solid density. In addition, it was found that the microstructure of the coating demonstrated good correlation with the performance of the coated paper. Liu, X., Chen, Y., & Zhang, Z. (2017). 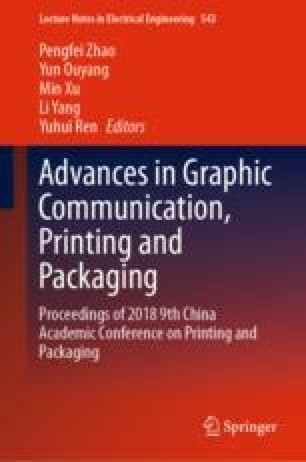 Influence of silica pigments with different sizes on the performances of coated ink-jet printing paper. Advanced graphic communications and media technologies, Lecture Notes in Electrical Engineering 417, https://doi.org/10.1007/978-981-10-3530-2_124.